Luxury pool villa for Rent with Sea View in Kamala in a secluded area. Price Rentals: Low season: 12,000 THB /night - High season: 14,000 THB /night - Peak season: 230,000 THB for 2 weeks. A villa for rent with 3 bedrooms, a western kitchen, dining room, flat screen TV, Wifi internet and bed linen ,towels , laundry room, private swimming pool, garden, parking and balconies. 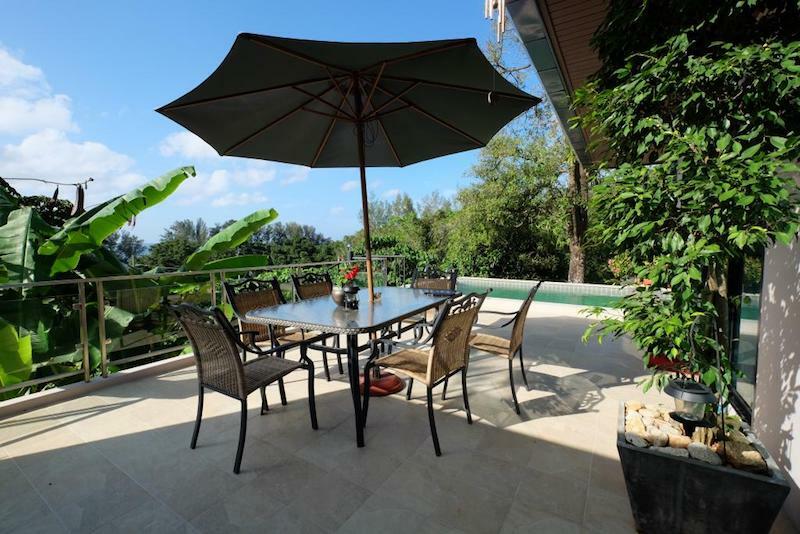 This Phuket-Property benefits from a cosy garden, close to a garage for 2 cars. There is also a washing machine . The main living area of this home is luxurious with high quality furnitures and equipments ,including a comfortable sofa and a selection of top furnitures. You can enjoy the sea views from the living room . The area is peaceful and private. You can enjoy great seclusion at a short distance from beaches, restaurants, bars, shops and nightlife scene. Kamala Beach lies just north of the lights and noise of Patong with a relaxed feeling. Kamala village is village surrounded by green hills and is one of the most beautiful area in Phuket. Kamala (กมลา) is on the west coast of Phuket, just to the north of Patong, and immediately south of Surin Beach.